We write a lot about "how" to write. But what about "why" we write? Most of us would say we write because we have to. Because of this in-depth need to put the story in our head down on paper. Because of our love of putting words together to tell that story. 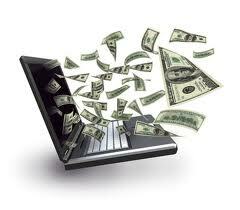 I don't think it is too far-fetched to say most, if not all, of us would LOVE to make a little money from our writing. I am a big believer in dreaming and having goals and not limiting yourself. But if this is your day-dream, you might want to get a bit of a reality check. That doesn't mean that you can't have a goal of making SOME money... and maybe even, if you are realistic about timing, making a living with your writing. I think, I hope, we all realize by now that this writing thing is rarely a path to "fame and fortune." By day, I worked with money. So the "money" side of writing is something I'm interested in too... not JUST because I want to make some (someday) but because I like to work with it too! I thought I'd use my next few posts to give some good tips on finances/money as it relates to our writing. You've written a book. You're doing everything you're supposed to do, submitting to crit groups, learning craft, continuing to write more books. Someday, you'd love to quit that day job and write, or at least go to part time, or maybe fund a family vacation, or you're a stay-at-home Mom and you'd love to add a little to the family budget too. You aren't making money quite yet... but what can you do now to prepare for your future money-making writing career? Get a handle of your finances NOW. Don't view your writing as a way to "get you out of your no-money pit" because it will cause a lot of stress when you are writing, thus make you not write as well. Now is still the time to ENJOY your writing, not feel pressured into the whole money thing. Write for the HOPE of selling it later... not out of desperation. 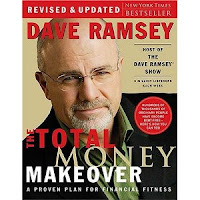 I'm a BIG believer in the Total Money Makeover from Dave Ramsey. My husband and I went through it a few years ago, paid off ALL our credit cards and our cars, and built up our emergency fund. Then, well, then Annabelle was born. Let's just say, I'm very very thankful we worked hard THEN. I won't lie. Given job situations and obvious medical stuff, I'm SO SO SO thankful we are as prepared as we are. If we were still paying on credit cards and things... I don't know what we would do. If you get your finances in order now, then you can guilt-free set aside funds for writer's conferences, books and other things that you'll need. You'll be able to enjoy that first sale MUCH better if you get to use a few dollars of it to splurge (and save the rest!) verses having to put it all to do something boring like make a car payment... And you'll have a little nest egg for the potential to maybe, possibly, someday, MANY published books down the line... make a living from your writing! Discussion: What are your "money" goals regarding your writing? Do you want to say adios to the ol' 9 to 5, or would you settle just for a few bucks to splurge on? Or are you REALLY not it in at ALL for the money? And here is a fun one: If God told you that he never had plans for you to "sell" any of your writing... EVER... would you still be writing? And if so, would your writing habits change? Hmm... not sure. I can't imagine that I'll stop writing. I might be less concerned about rewrites and editing though. Last year I made the decision to be a stay-at-home mom regardless of what did or didn't happen with my writing. So I guess I'm in that place where the extra income would be great for a family vacation or maybe some extra college savings for my kiddos. But who knows, just like you've experienced, life can take unexpected turns. While the money is nice, few are able to quit their day jobs. My CPA gave me a reality check when we chatted at the end of the tax season last month. He told me that because of my sale I'll have income to offset my writing expenses now, so my hubby and I will lose that deduction. Our CPA advised me to set aside the first half of my advance because we'll likely owe a large part of it to the IRS next year. The rest will (hopefully) cover my expenses. My hubby and I live within our means and haven't counted on me earning money from my writing in the early years, so we're in a good position. As you said, Krista, preparation is key. I'd like to reach the point where my writing is my income. I'd like to spend my work hours on writing and writing related events such as speaking and teaching. However, if God told me that I'd never sell anything, I believe I would still need to write. Great thought-provoking questions! I want to make some money to supplement our income (which, at the moment, is disability - so not much). Much to ponder! What a practical post. I love that you forwarded us on the Dave Ramsey and some real solutions to the money issues most of us have. I think I would still write even if I knew I'd never sell a thing. I actually did this for about twenty years. :) Now that I've got two books published and one more on the way (plus some plays) I'm dreaming of quitting the day job. But alas . . .it's not happening. Realistically, I'd like to make a living, or near enough to it to justify writing full time. (And let my hubbie look after the rest!) I doubt a mansion is in the future . . .
Great post--nice, straight talk about the money-side of writing. As an editor, I do pull a paycheck--but we don't figure this into our regular family budget. My income covers my conference expenses and pays for my website, etc.--and I also use it as a benevolent fund. I'm thankful that my husband's salary is sufficient for our regular budget--and that he supports my writing career. And I wholeheartedly endorse Dave Ramsey!! Good stuff there, for adults and kids alike! Would I continue to write if I knew I wasn't going to make money at it? Well, that's what I did for a lot of years . . .
Great comments everyone!!!! I think I, too, would (and DO) write without making money... I think if I KNEW that publication wasn't EVER going to be in the mix, I'd still write, but I wouldn't be as dedicated at it, and would write a little more for "fun" than with an eye for what readers might potentially want. And since I LOVE the writing part MUCH more than editing... I would probably have a bunch of unedited manuscripts laying around! HA!